The Cutest Stationary Subscription Box There Is! When it comes to subscription boxes I'm not one who's really into the typical beauty type as I find they just get repetitive. However anything to do with Stationary just makes me excited so when I had the chance to review the March PaperHaul Subscription Box* of course I was so excited when the Postman handed me it one miserable Monday morning. PaperHaul works with someone new for each box to give them a chance to feature their art work, this time Jodie Goolding was the artist and I have to say I am so in love with the theme and everything she designed! Can we start off by saying how adorable these little cards are!? They also come with three little mini envelopes ready for you to send them off to friends or family to make their day. 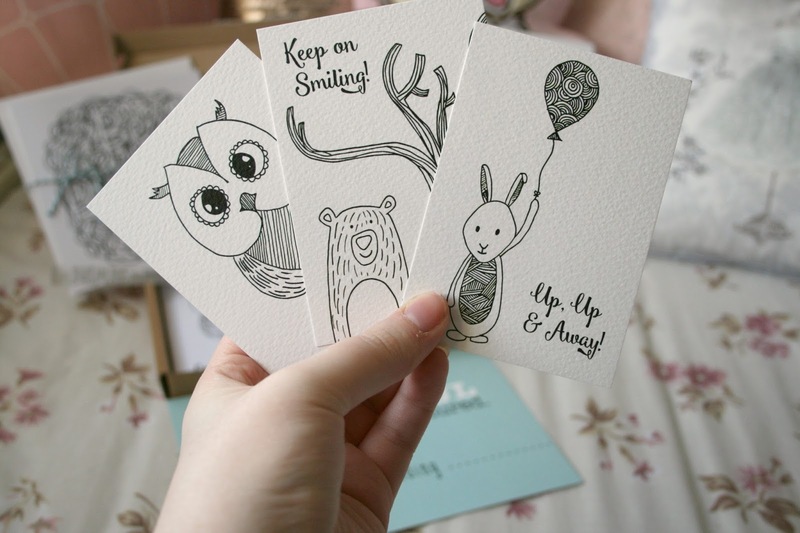 I'm going to be a little selfish though and keep all three to stick on my wall in my little blogging area, I'm so in love with the little doodles and love the little woodland theme going on. Of course when I seen there was a Bunny featured it really did make my day, as I'm sure you could have guessed really! Also featured in this box were these two postcards which I'm obsessed with. 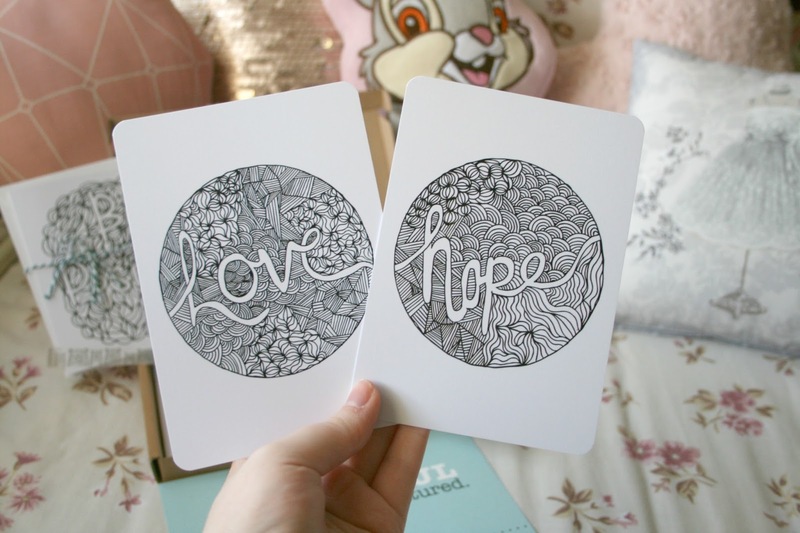 Again I'm going to be selfish and keep these for my wall, I adore the design and font featured on both and love the fact that they are going to look perfect framed on my wall over my iMac. I also love the fact that I know how fab these are going to look as props in the background of my photos...is that a bit sad?! It's true though. 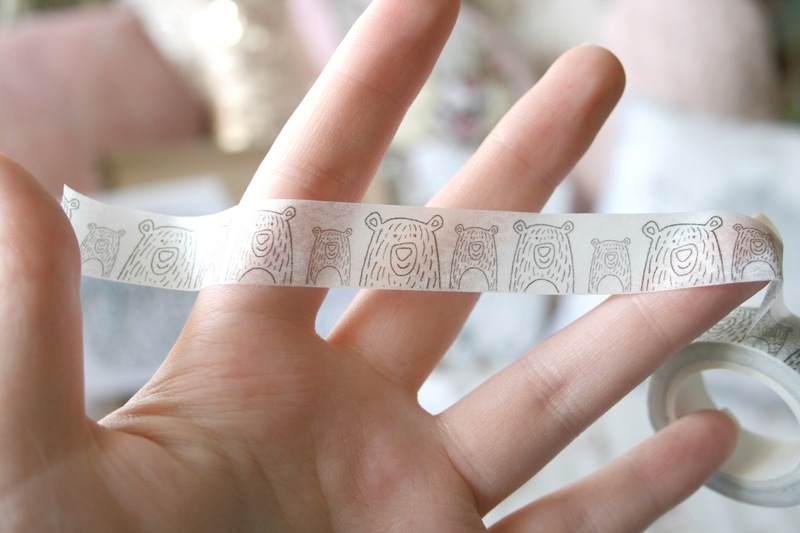 How god darn cute is this washy tape? You have no idea how many things I have stuck this on already, I've even wrapped parcels with it to make them look a bit pretty. I'm so obsessed with this and I've basically covered every notebook I own in this. The little bear design is just the cutest thing in the world. 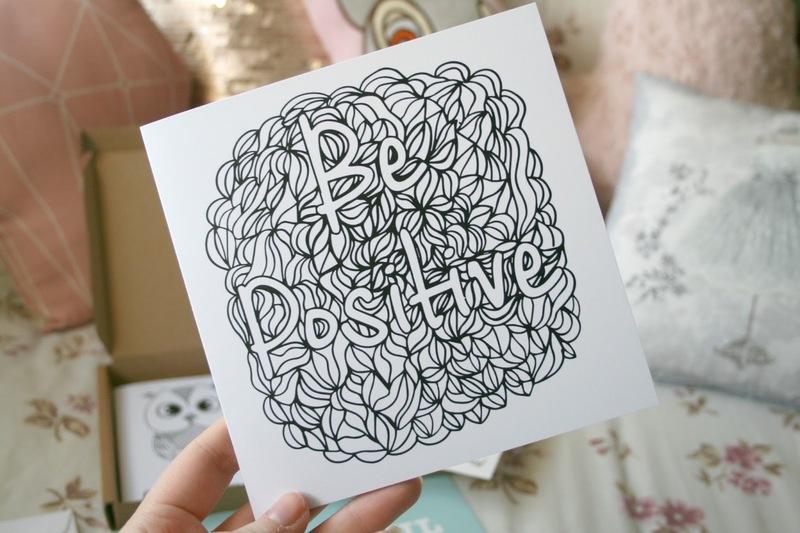 Also included inside was a large card with my favourite saying on it. Again I absolutely adore the design on this, you could even colour it in if you really wanted too! However I love the sleek monochrome look to this and have actually sent it off to a friend with a gift because I just thought it was so lovely not to share! They also included an envelope for the card so you simply just had to put a stamp on it and send it off. I'm a little gutted I didn't keep it for myself but then again I know my friend will love it just as much as I do! Lastly also included was a mini notebook and some stickers. The notebook is the perfect size for me to scribble down any blogging ideas I have. It's also small enough to pop into my bag and not add any weight or take up any room which I like. What is it with us bloggers and notebooks!? Seriously though I just cannot get enough of them. 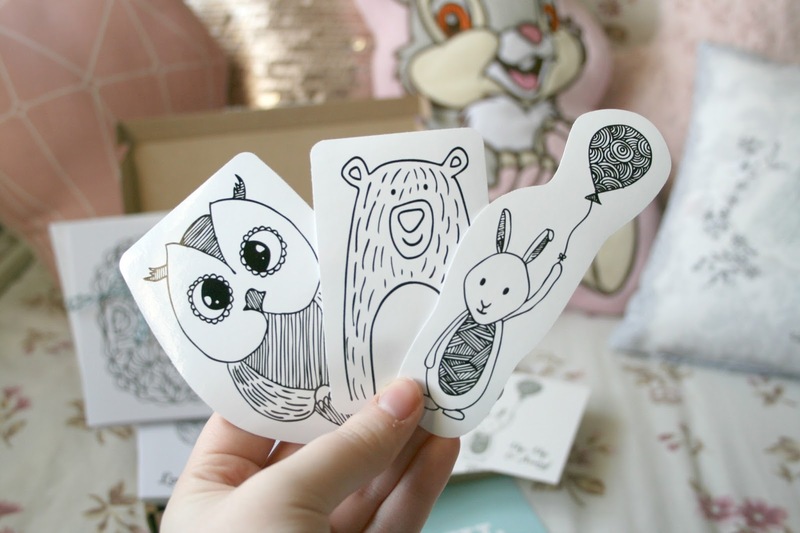 Finally they also featured the three little woodland creatures as stickers too because who doesn't love stickers!? I have yet to find a place for these but trust me I will find somewhere! And there you have it. Everything that was packed into the cuteness that is the March PaperHaul subscription box. PaperHaul will only cost you £10 a month plus p&p. 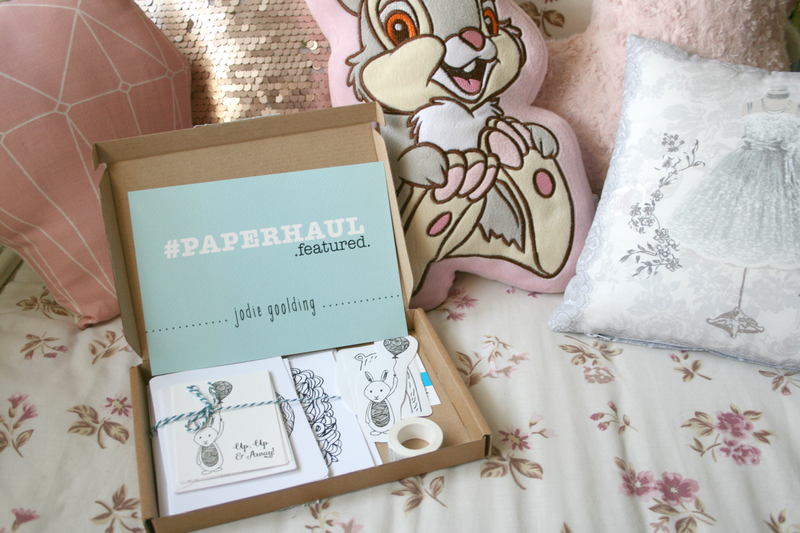 For more information and to order your very own PaperHaul box click here! What's your opinion on a stationary subscription box? This looks SO CUTE! The washi tape looks adorable - I need this!! Aw these are so cute - I'm a sucker for stationary! Those are all so adorable! I love the idea of subscription boxes but I don't really like beauty boxes. What a cute box! 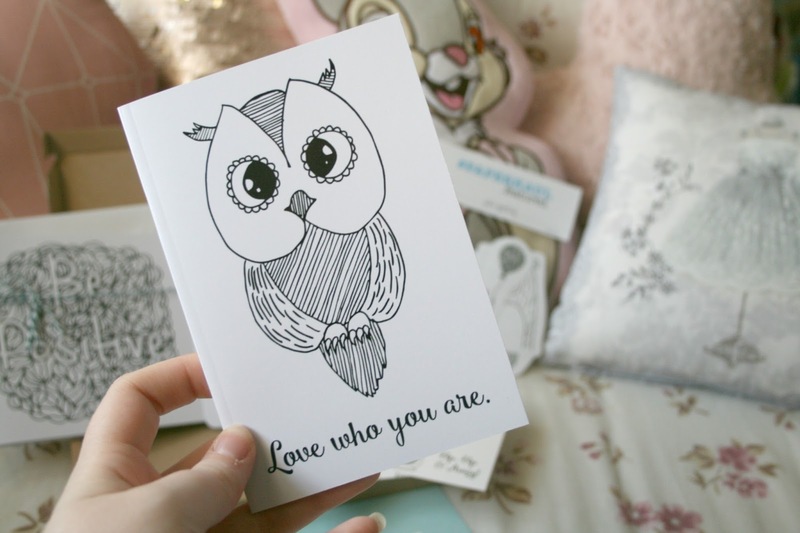 I love stationary, it's one of my weakness.. And the idea of a subscription box is awesome. This is such a good idea! How cute is that washi tape? I seriously need it. I agree that beauty sub boxes don't really do much for me and can get repetitive but a stationery sub box? Sign me up! Oh my days! This is so cute!! Love stationary, in fact most of my friends do so perfect pressies all round!